According to The Guardian, Chris Grayling is going to make an announcement shortly about the future of the East Coast Mainline rail franchise. The two options he is considering are a ‘not-for-profit’ arrangement with the current incumbents or to ‘renationalise’ it. The line has a chequered history. 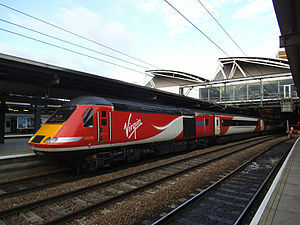 After the demise of GNER in 2007 and the failure of National Express East Coast in 2009 it went back into public ownership as East Coast. The Tories, through political dogma, decided to re-privatise it again in 2015. Less than 3 years later we are back in doubt again. As Lady Bracknell might have said,’To lose one franchise, Mr Grayling, may be regarded as a misfortune; to lose both looks like carelessness.’ What would she say for three and, potentially, four? During the period of time East Coast was in control it paid an average of over £200M a year back to the government. There was no need to privatise it. Let’s hope this time the Tories see sense and put it back in public ownership where it belongs.